With Bayern München once again dominating the Bundesliga the focus has shifted towards winning potentially another treble, the future of head coach Jupp Heynckes (he is likely to stay) and the signing of Leon Goretzka from Schalke. Another topic, however, has been the restructuring of the club’s youth infrastructure and the possible signing of talented US boy Taylor Booth from Real Salt Lake’s youth academy. 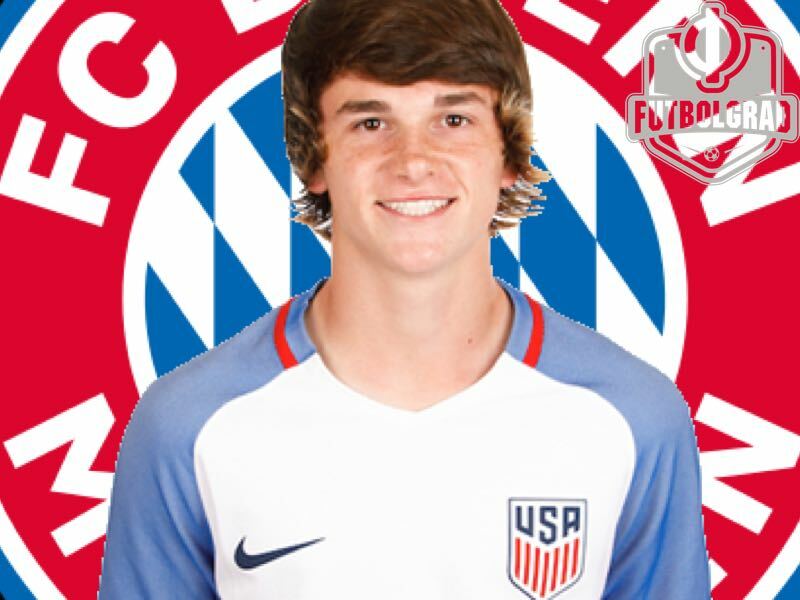 Although questions remain over his playing eligibility—Taylor Booth would need an EU passport if he wants to be eligible to play for Bayern before he is 18—sources indicate that the talented US midfielder will become the latest addition to the Rekordmeister’s youth setup, which in turn demonstrates that Booth may have found a way to obtain a European passport. An intelligent midfielder, who can play almost any position in midfield, with excellent decision making he can score goals, assist them, and is capable of taking set pieces. Booth is not the fastest player, but when playing with the United States U-17 setup could be found on occasion as the central pivot player. Not unlike Javi Martínez or Arturo Vidal Taylor Booth is capable of reading defensive situations well and can destroy the oppositions attacking plays through his fantastic positional awareness. Although an undersized player, he is listed at 1,59cm at the moment, Booth stands out as a central midfielder. Bayern, in fact, may even decide to move him to a different position—keep in mind that Philipp Lahm also started in central midfield and was later converted to a wing-back. Taylor Booth’s transfer to the Bavarians underlines a new transfer strategy at the Rekordmeister. Not since David Alaba has broken into the first team has a Bayern youth player managed to make an impact in the starting eleven. But building from within has always been an essential aspect of the Mia san Mia philosophy at the club. The Champions League winning side, for example, included four players—David Alaba, Bastian Schweinsteiger, Philipp Lahm and Thomas Müller—, who went through Bayern’s youth academies. 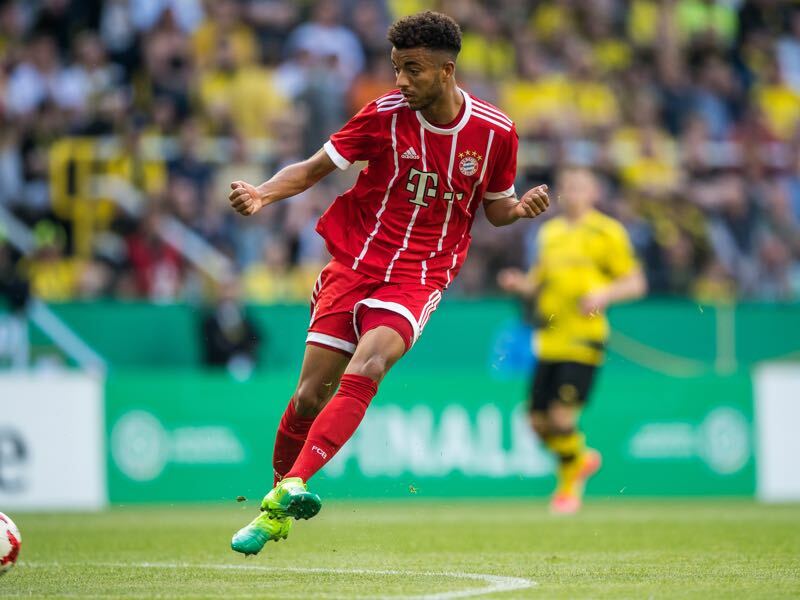 David Alaba, Thomas Müller and recently signed Sandro Wagner are the only three players receiving regular playing time that were also developed by the club. Meanwhile, the likes of Fabian Benko, Felix Götze and Niklas Dörsch are somewhat struggling to find playing time and in some cases are only in the first team squad to meet UEFA Champions League regulations. To improve the chances of developing their youth players, Bayern, therefore, invested €70 million in the FC Bayern Campus. Bayern president Uli Hoeneß called the development of the new academy in the north of Munich as an answer to the inflationary prices on the global transfer market. Although it will be impossible for the club not to make a major investment in the squad in the medium term—especially in the light that Frank Ribéry and Arjen Robben could retire soon—Bayern feel that in the long-term they want to develop their talent. That talent, however, is not just supposed to be recruited from Munich and Bavaria. Taylor Booth will join the likes of Joshua Zirkzee, a U-17 Netherlands national team player, who was signed from Feyenoord Rotterdam, Sweden’s U-16 national team player Ryan Johansson, signed from FC Metz, as well as South Korean talent Uh-yeong Jeong, who was brought in from Incheon United. Bayern will, however, not just bank on international talent to finally develop the next Alaba. Joining the international players are Oliver Batista Meier, Frank Evina and Timothy Tillmann—although all three have an international background, Meier is half Brazilian, Evina was born in Cameroon and Tillman also has US citizenship, they were all either born or raised in Germany. While Tillman, from Fürth, and Batista Meier, from Kaiserslautern, were signed from other academies Evina was raised in Munich and brought into the youth setup as a 14-year-old. 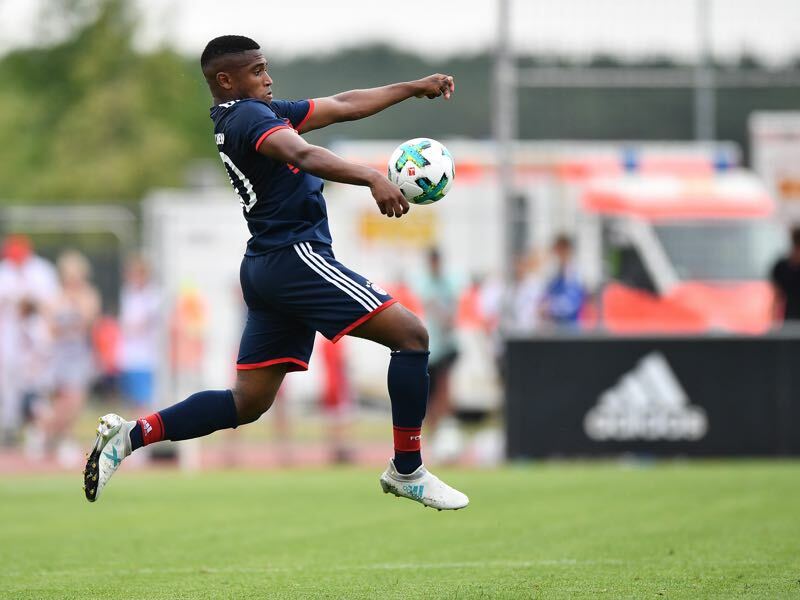 While league competitor RB Leipzig has been willing to spend big money on promising youth players like Úmaro Embaló, who will join Leipzig for €15 million, Bayern want to refrain from big money transactions in the youth setup. Leipzig are not alone either, struggling competitor Borussia Dortmund have made a major business out of identifying youth players and spent €7 million on English talent Jadon Sancho last summer and on top signed Barcelona talent Sergio Gomez for €3 million. With this kind of money now being invested in talent, it will only be a matter of time until Bayern, too, will spend big on a youth player. Another sector will be the question of wages, while Bayern pay their best youth players up to €4000 a month the same amount of money can be made in England per week. With all this in mind, the €70 million investment in the FC Bayern Campus might not be enough in the long-term to compete with the fancy youth academies of Manchester City and RB Leipzig. Only further investments into youth wages and a willingness to risk signing players at a younger age will keep Bayern competitive on the youth market and to an extension with the superpowers from England and Spain as well as emerging RB Leipzig—make no mistake the Red Bull-sponsored club will become a giant in the long-term. Bayern, however, have always been able to adapt to the changing economic landscape. It might be indeed the number one reason why national, and international, competitors have come, and gone, while the Rekordmeister has persevered at the very top in Germany and the top clubs in Europe. Bringing in young talent from the United States like Taylor Booth is therefore just a first step. Wow! Taylor Booth isn’t even a meter sixty? My son’s 11 and already there….